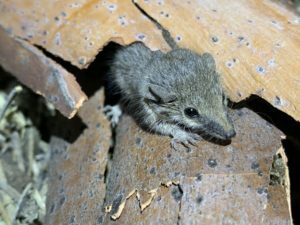 Planigales and Dunnarts are the official names for species of native marsupial mice. Dunnarts found in Roma, or the Maranoa region include the Striped-faced Dunnart, Fat-tailed Dunnart and Common Dunnart. They are small marsupials around the same size as the introduced and pesky house mouse. What distinguishes them from the ordinary house mouse though is their pouch, long pointed noise, large beady eyes and numerous sharp teeth. Even though Dunnarts do look cute, they are quite a ferocious predator – so best to look and not handle! Active at night, they catch and feed on insects such as spiders, centipedes and lizards. They rarely need to drink, obtaining enough water from their food. In good times, Dunnarts store fat in their tails, when it may appear carrot-shaped. Living down soil cracks or under logs they make a little grass nest within their shelter. Dunnarts can have up to ten babies at a time. It doesn’t take long for them to outgrow the pouch, after which they then cling onto their mothers’ back as she travels around foraging for food. If you live on a few acres out of town you may occasionally see them in your garden or in grassy paddocks with heavy, cracking clay soils. Hopefully the family pet hasn’t brought one in, as they do often fall victim to cats. Just as ferocious, the Narrow-noised Planigale and Common Planigale are close cousins of the Dunnarts, however are much smaller. 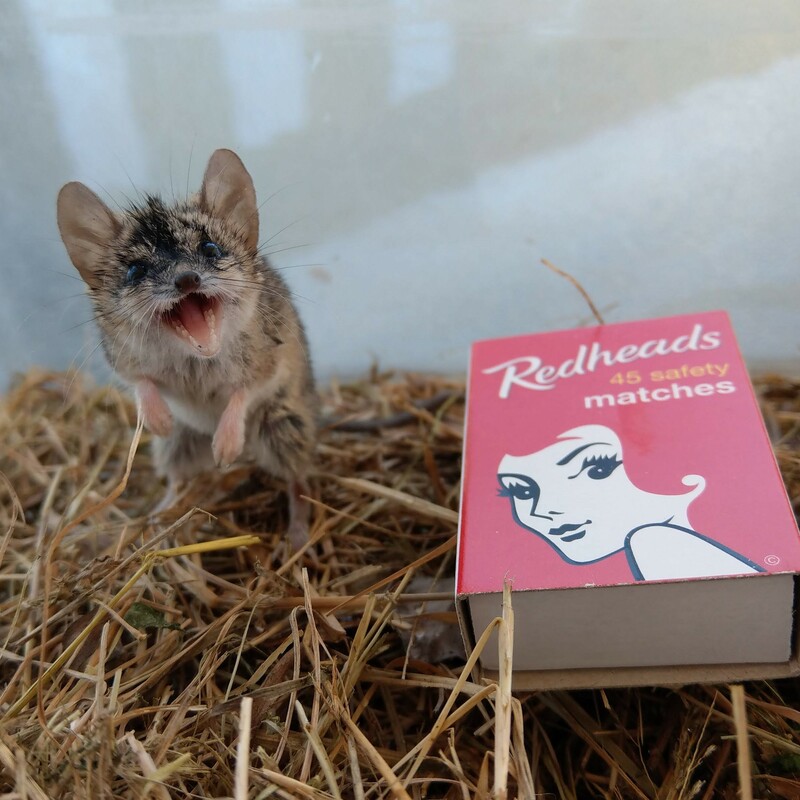 These little creatures can easily fit into a match box and have a shorter nose and flatter head than the Dunnart. Otherwise, you can see these little guys on our EcoScience Expedition. This is a brand new opportunity to go on an extended tour with our Ecologists, so that you can contribute to scientific knowledge, help inspire others and influence environmental management outcomes. You can read more here.